Do you spend most of your free time distracting yourself? Texting while sitting on the toilet. Watching TV before you fall asleep and checking Facebook during the commercials. Talking constantly to break the anxiety of silence. Making plans while never getting anything done. Distractions are not fun anyway. They’re even tiring. So why do you distract yourself? You do it because it’s comfortable. It’s not enjoyable, but it numbs the mind. It shields you from reality. A thing that prevents someone from giving full attention to something else. Distracting yourself is a way of escaping what’s going on. It helps you stop worrying about a particular problem by turning your back on it. It makes you feel a sense of relief. The more you do it, the easier you fall back into it. Eventually, you’re addicted to this childish way of dealing with the world. It becomes your response to reality. There’s nothing fundamentally wrong with distractions. They’re easy and comfortable activities. But if you use them as an escape from life dissatisfactions, you’re basically drugging yourself with meaningless stimuli. Addiction to distraction is everywhere. It’s at the root of many eating disorders and drug problems. 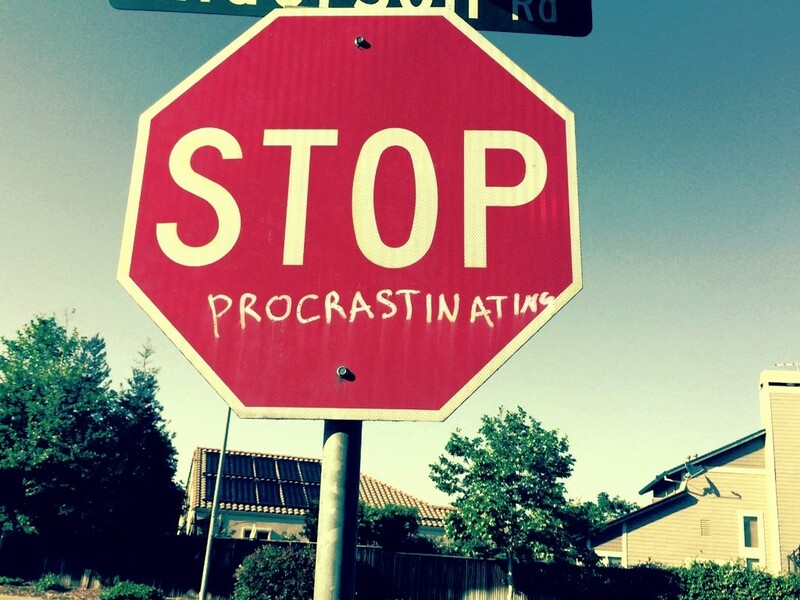 It feeds procrastination and causes countless accidents. The problem is simple: distractions are unsatisfying. Like any drug, they leave you craving for more. Even worse, they make you feel apathetic. When you’re distracting yourself, you’re taking away your attention from reality. You’re not really living. You know what I’m talking about. That moment where you brain convinces you that taking a 5 minute break is smart. The instant you give up and fall into unconsciousness; checking once more if something’s up on Facebook. Numbing yourself up as you scroll down. That damn 5 minutes break that lasts half an hour. That break isn’t even a break anyway. A true pause calms your mind. A real “time-out” refreshes you and gives you energy to come back to your purpose wholeheartedly. Fully stop what you’re doing for 2 minutes. Turn away from the desk and watch the wall. Nothing else. Don’t get distracted. Don’t focus anywhere, just take a break. Let go of everything that seems important. Let go of the urge to get somewhere, of the craving to do something. That’s what I call a real break. It will relax you and make your thoughts clearer. Observe how your purpose aligns itself back on track. Do you get the same empowerment from a Facebook break? From watching Breaking Bad? What do professional athletes do during time-outs? Check their e-mail? Update their Twitter? No. They pause and reflect. They clarify their vision and re-center themselves. That’s the true meaning of a break. It leaves them motivated and ready to take action. Deep inside you, there’s a craving for something more. Something doesn’t want to settle for mediocrity. It never will. No matter how much crap you overwhelm your brain with, you’ll always feel empty. Your brain will keep asking for more distractions out of habit, but it never will be satisfied. You have to break through this vicious circle. Ever wondered what would happen if you stopped distracting yourself? There would be space. And initially, that space would feel awkward. Like any respectable drug addict, you’d want to distract yourself again. You’d feel empty; it may become overwhelming. But eventually, you’d start enjoying this new feeling. Stop distracting yourself, and slowly your head will come out of the water. When you allow a bit of space in your life, joy and peace will emerge. You’ll connect with people easily. You’ll think outside the box effortlessly. Your thoughts will be clear, and your actions lucid. You’ll suddenly feel like you have more time. Do you want to have a mind that requires constant activity? Or to you want to live from a basic state of clarity? Space can become your default state. It will eventually be, if you stop distracting yourself. The untrained mind is easily distracted. How can you train it? With meditation! But now I see the true meaning of such statements. It’s to realize our true nature and emptiness is exactly that. There is no ultimate satisfaction in doing things because it’s all gone when you stop thinking about it. It’s interesting that I currently have an “issue” with falling in love (yeah I know calling it an issue seems kind of funny :D). But the thing is, thinking about this girl is really distracting me. It makes me behave in a compulsive way that doesn’t seem like love at all – in fact it seems like pure selfishness, to be honest with you. And the more such thoughts persist, the more I become self-centered in “love”, actually caring less and less about her as a person. Yeah, I’m a man and it’s supposed to be like that I guess , but I don’t like this shallownees my own nature is exposing me to. I’d much more prefer to really love than to endure this compulsion of thought. Hey, I have the exact same issue about “falling in love”!! Really fascinated me to come across this comment :)) I’m a girl though and this is about falling in love with a guy and I’ve always labelled this as “not making sense” to me. When I thought about it logically, he was really not a good person to fall for, and there was very little foundation between us, anyway. I can totally relate to your acting in a needy, compulsive way that “doesn’t seem like love at all”. I always thought that I was a bit above others in terms of not distracting myself as much. In fact, I barely go on Facebook now or haven’t watched TV in a long time because I hate how it numbs me so much. I can go on long commutes without bringing anything with me and I can simply stare into space from time to time. But, I guess, I have been guilty to use my mind as a distraction from time to time. Especially with that falling in love part. Man, it makes me crazy!